Introducing the Innokin ENDURA T18E Starter Kit which is perfect for beginners and previous vapers looking for a simple and sleek design. 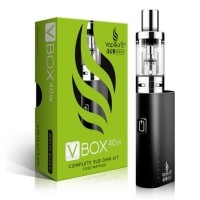 The Innokin ENDURA T18E delivers a superior experience in a compact, durable and affordable all in one starter kit. 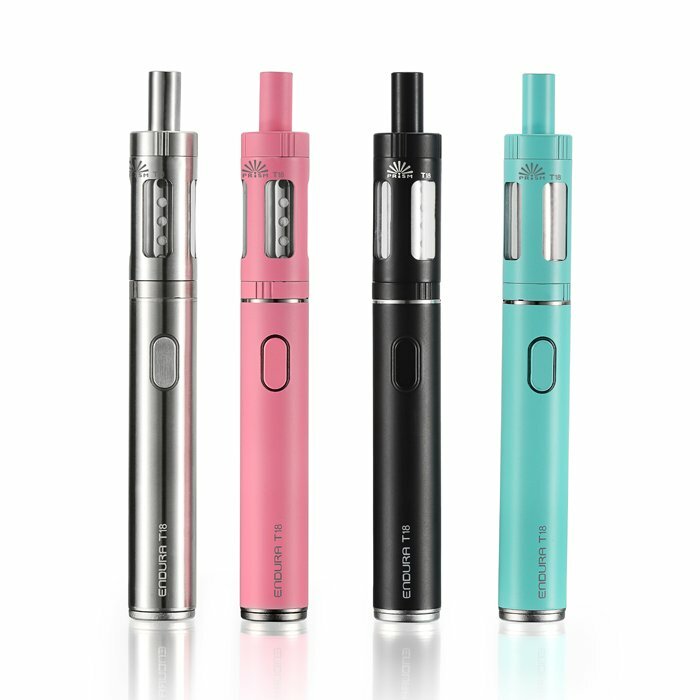 Crafted with top quality materials, the Innokin ENDURA is a 1 button, easy to fill & easy to use affordable advanced personal vaporizer that is durable, compact and stylish. Optimized at 14 Watts with 2.0ohm replaceable coils, the ENDURA delivers a perfect vaping experience every time. The Prism T18E 2.0 ml Tank has a glass and stainless steel construction which is top-filled for quick and clean refills and the Japanese organic cotton wicking material delivers maximum flavor from your favorite eliquids. 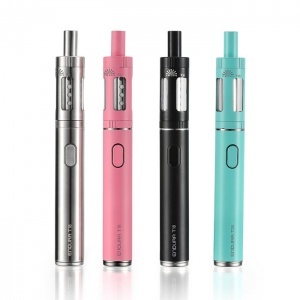 The Innokin ENDURA T18E Starter Kit is an all in one vaporizer solution that is beautifully packaged and includes the ENDURA battery, Prism T18E Tank, Replacement Coil, Micro USB cord, and Vape Stand. For optimal performance and best results, a mouth to lung inhale is recommended with this device. 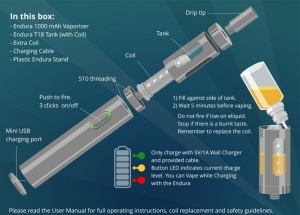 The Endura is not designed for full lung inhalation vaping. The Endura is designed to simulate a cigarette or cigar draw; for best results, a relaxed puff is recommended. 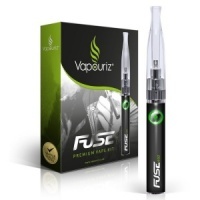 After filling the T18E tank with eliquid you should wait 5 minutes before vaping. Please do not overfill, or prime the coil via the middle airflow hole, as leaking or gurgling may occur. 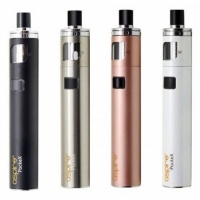 We hope you enjoy vaping with the Endura T18E. The Innokin Endura T18E will include a 30 day Limited Warranty against any manufacturing defects from the date of delivery. Scratches and discoloration from regular use is considered normal wear and tear and is not covered by warranty. I'm pleased with the item. I love the colour choices and being a woman I went for pink. Generally a good product , the only downside is the battery charge does not last that long.